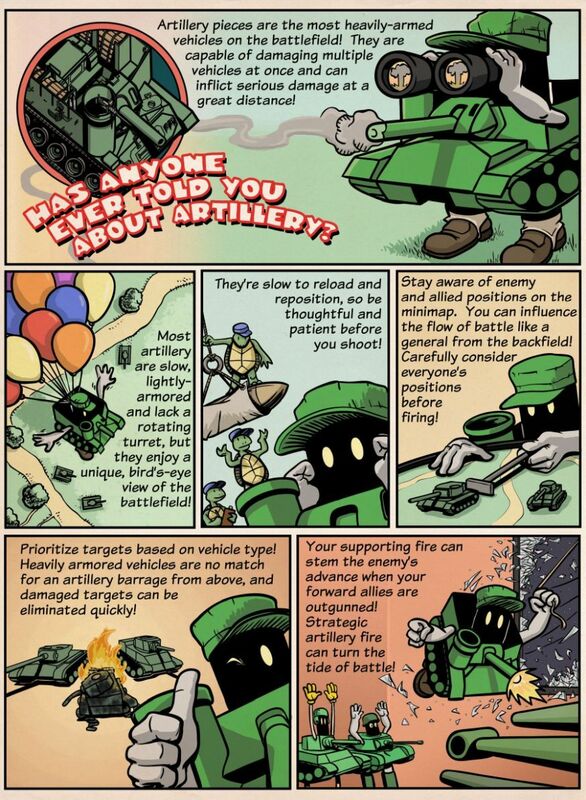 Light tanks and artillery (sometimes called "SPG") are two vehicle classes that rely heavily on one another. 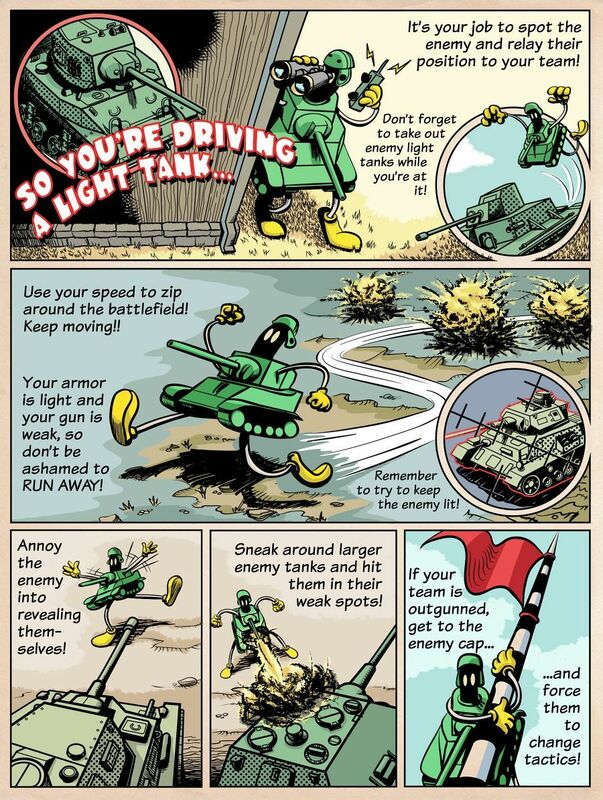 Light tanks zoom out and spot enemy vehicles, while artillery hangs back to take those targets out. Check out our comic guides to learn more about these classes, plus earn great rewards when you drive (or destroy) them! 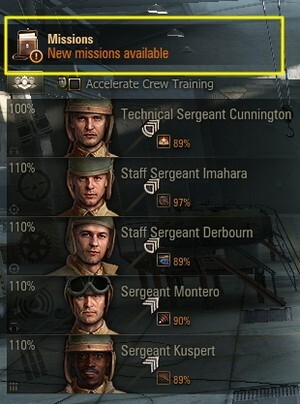 "Light or SPG Solo Daily"
"Light or SPG Platoon Daily"
"Get Full Daily 4 Times"
"Destroy 2 Lights or SPGs"